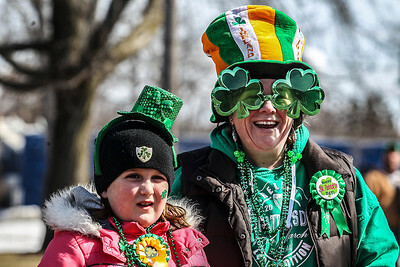 Sarah Nader- snader@shawmedia.com Dressed in St. Patrick's Day gear, Kiara Kearns (left), 8, of McHenry and her mother, Lisa, watch the annual St. Patrick's Day Parade hosted by the Rotary Club of McHenry Sunday, March 16, 2014. The parade was held create awareness of and show support for the volunteer-run organizations that exist in the McHenry area. Sarah Nader- snader@shawmedia.com Dancers from the Rebecca McCarthy School of Dance perform during the annual St. Patrick's Day Parade in McHenry hosted by the Rotary Club of McHenry Sunday, March 16, 2014. The parade was held to create awareness of and show support for the volunteer-run organizations that exist in the McHenry area. Sarah Nader- snader@shawmedia.com Amanda Wilkins of Wonder Lake walks in the annual St. Patrick's Day Parade in McHenry hosted by the Rotary Club of McHenry Sunday, March 16, 2014. 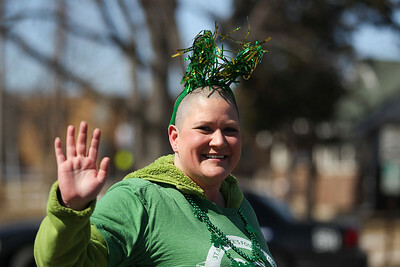 The parade was held to create awareness of and show support for the volunteer-run organizations that exist in the McHenry area. 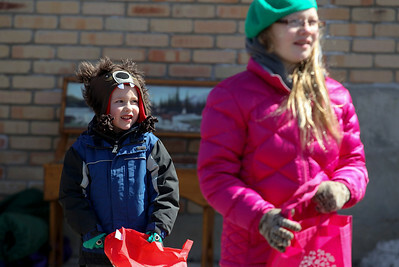 Sarah Nader- snader@shawmedia.com Connor Dencs, 4, of McHenry waits for candy to be thrown during the annual St. Patrick's Day Parade in McHenry hosted by the Rotary Club of McHenry Sunday, March 16, 2014. The parade was held to create awareness of and show support for the volunteer-run organizations that exist in the McHenry area. 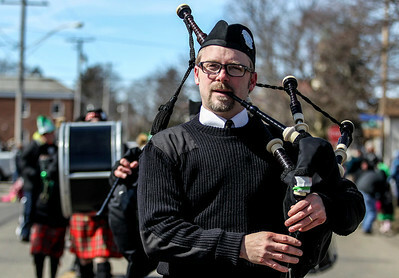 Sarah Nader- snader@shawmedia.com Adam Parchert of Carpentersville plays the bag pipe with the Dundee Scottish Pipe Band during the annual St. Patrick's Day Parade in McHenry hosted by the Rotary Club of McHenry Sunday, March 16, 2014. The parade was held to create awareness of and show support for the volunteer-run organizations that exist in the McHenry area. 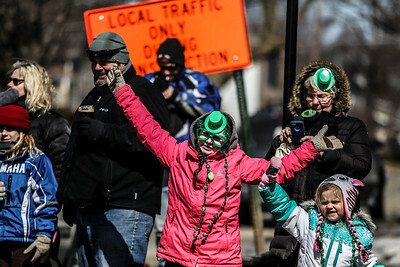 Sarah Nader- snader@shawmedia.com Korhyn Geary, 9, of Lakemoor watches the annual St. Patrick's Day Parade in McHenry hosted by the Rotary Club of McHenry Sunday, March 16, 2014. The parade was held to create awareness of and show support for the volunteer-run organizations that exist in the McHenry area. Sarah Nader- snader@shawmedia.com The annual St. Patrick's Day Parade was held in McHenry hosted by the Rotary Club of McHenry Sunday, March 16, 2014. 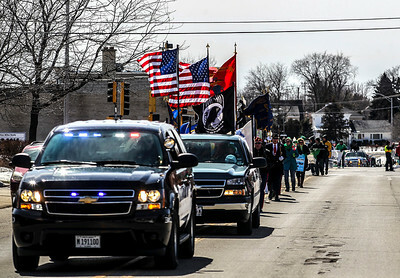 The parade was held to create awareness of and show support for the volunteer-run organizations that exist in the McHenry area. 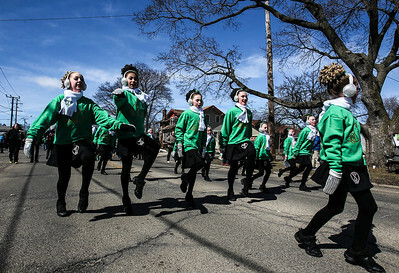 Sarah Nader- snader@shawmedia.com Ellie Stroh (left), 15, of Woodstock and Molly Dougherty, 17, of Woodstock perform an Irish dance with students from the McCormack Fay Academy of Irish Dance after the McHenry St. Patrick's Day parade at Veterans Memorial Park Sunday, March 16, 2014. 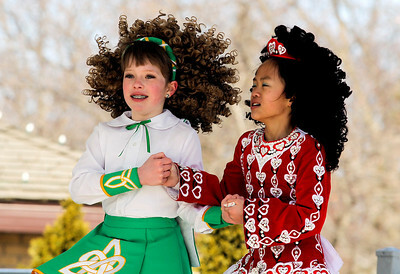 Sarah Nader- snader@shawmedia.com Sidney Green (left), 10, of Woodstock and Mei Cornell, 10, of Woodstock perform an Irish dance with students from the McCormack Fay Academy of Irish Dance after the McHenry St. Patrick's Day parade at Veterans Memorial Park Sunday, March 16, 2014. Sarah Nader- snader@shawmedia.com Megan Larkin, 11, of McHenry tries to warm up before performing an Irish dance with students from the McCormack Fay Academy of Irish Dance after the McHenry St. Patrick's Day parade at Veterans Memorial Park Sunday, March 16, 2014. 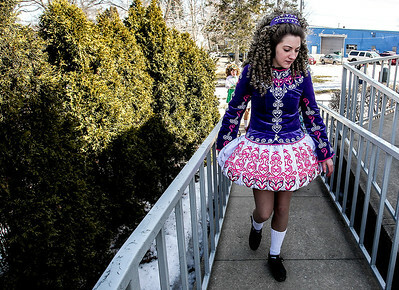 Sarah Nader- snader@shawmedia.com Ellie Stroh, 15, of Woodstock walks to the stage before performing an Irish dance with students from the McCormack Fay Academy of Irish Dance after the McHenry St. Patrick's Day parade at Veterans Memorial Park Sunday, March 16, 2014. 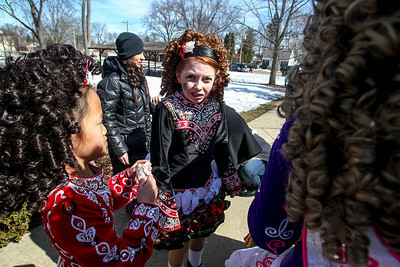 Sarah Nader- snader@shawmedia.com Megan Larkin (center), 11, of McHenry tries to warm up before performing an Irish dance with students from the McCormack Fay Academy of Irish Dance after the McHenry St. Patrick's Day parade at Veterans Memorial Park Sunday, March 16, 2014. 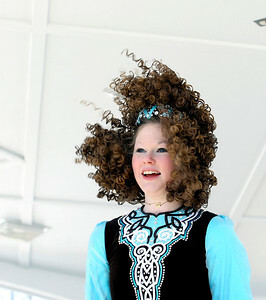 Sarah Nader- snader@shawmedia.com Molly Dougherty, 17, of Woodstock performs an Irish dance with students from the McCormack Fay Academy of Irish Dance after the McHenry St. Patrick's Day parade at Veterans Memorial Park Sunday, March 16, 2014. 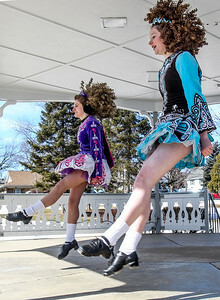 Ellie Stroh (left), 15, of Woodstock and Molly Dougherty, 17, of Woodstock perform an Irish dance with students from the McCormack Fay Academy of Irish Dance after the McHenry St. Patrick's Day parade at Veterans Memorial Park Sunday, March 16, 2014.